Need the basics to help you pass? 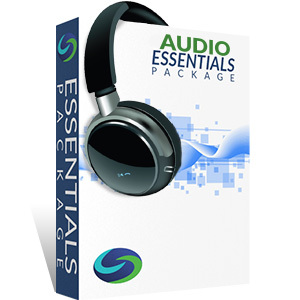 The Series 53 Audio Essentials Study Package comes with Solomon's Audiobook and industry-leading Online Exam Simulator to facilitate learning and knowledge retention. Used successfully by thousands, this powerful combination gives you what you need to learn and retain the material by testing yourself as you go. Studies show that learning followed by practice testing is the most successful study method (“Retrieval Practice Produces More Learning than Elaborative Studying with Concept Mapping” by Jeffrey D. Karpicke and Janell R. Blunt, January 2011). What does a Series 53 license allow me to do? training of principals or representatives. Is my firm required to have a principal with a Series 53? MSRB Rule G-3 requires that all brokers and dealers that conduct municipals securities business have at least two municipal securities principals (individuals who have passed the Series 53 exam). Dealers (including bank dealers) having fewer than eleven full-time employees engaged in the performance of its municipal securities activities. These exceptions need to have at least one municipal securities principal. For those firms whose municipal securities activities are limited exclusively to municipal fund securities, a municipal fund securities limited principal (Series 51) may be counted toward the numerical requirement of two municipal securities principals. 70% (Please Note: Your score will be rounded down to the lowest whole number (e.g. 69.9% would be a final score of 69%--not a passing score for the Series 53 Exam). What subjects does the Series 53 exam test? Are there other FINRA exams I need to complete as a prerequisite to attempting the Series 53? Yes, the Series 52. However, if you had taken and passed the Series 7 prior to November 7, 2011 you would qualify. The cost of the exam is $265 at this writing. If I stop working for my firm, how long will my Series 53 license remain active? When you cease working for a firm, your employer will file a Form U5 to terminate your registration. Your next employer will file a Form U4, which will re-register you. As long as you do not exceed two years between employers, your Series 53 license will remain active. I had tried another learning system before Solomon and walked into the Series 24 unprepared and subsequently failed. After using the Solomon system for three weeks, taking full advantage of the app on my cell phone I walked into my second attempt very prepared for the type of questions I was going to see. Not only did I pass, I did so with confidence. Thanks so much Solomon!